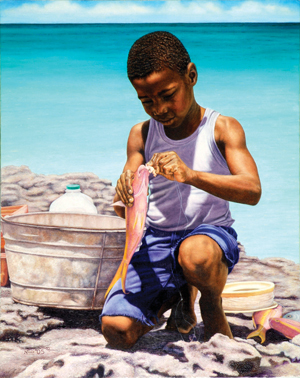 A family of talented artists, Eddie Minnis, his daughters, Nicole and Roshanne, and his son-in-law Ritchie, regularly exhibit together. 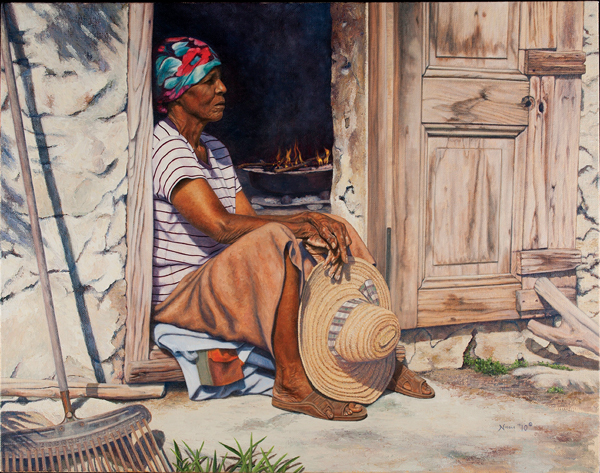 Each has his own distinct style, technique and choice of subject matter, but together their body of work adds up to a vivid portrait of Bahamian life. 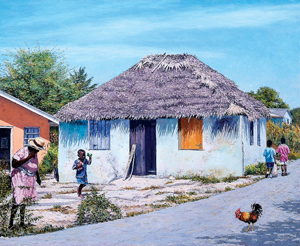 Born in Nassau and now based in Eleuthera, Eddie Minnis’ canvasses take a wide-angle look at life, depicting simple street scenes, historic buildings, land and seascapes. 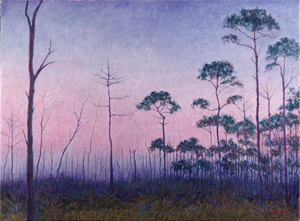 Although impressionist in style and painted in oils using a palette knife, each is meticulously precise: the product, no doubt, of his training in architecture – something that although he never pursued, Minnis says, instilled in him an appreciation for structure and perspective. 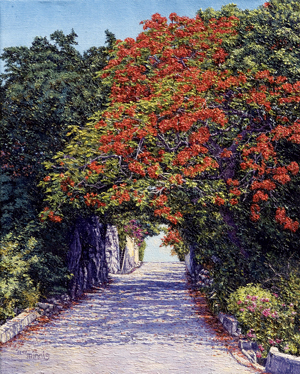 His depictions of tired clapboard cottages, flaming poinciana trees and bougainvillea-covered plantation-style houses, all shimmer with tropical sunlight and are infused with vibrant colours. As if alluding to a gentler time, however, there is a notable absence of the trappings of modern life in Minnis’ work: no telegraph poles, cars, or street signs. 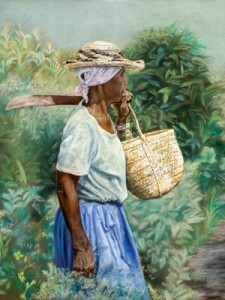 His two daughters, Nicole and Roshanne, both professional artists, clearly share their father’s talent. 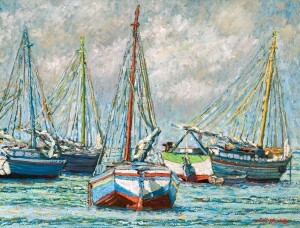 Whilst they credit him with guiding them in the use of different mediums and techniques, he did not, they say, push them to draw or paint, so much as expose them to the arts, take them to exhibitions and encourage them to discuss what they saw. Nicole, the eldest, did not seriously consider painting for a living until her last year in high school. 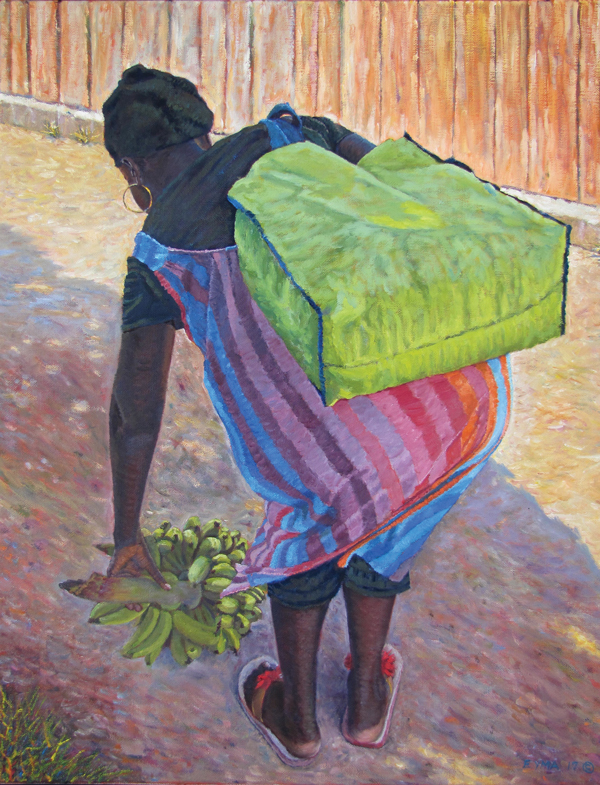 Then, with no training other than distinction in GCE O’level art, she launched herself into the art world, quickly winning competitions and being offered a solo exhibition. Unlike her father, Nicole’s preferred subject matter is people and children in particular. 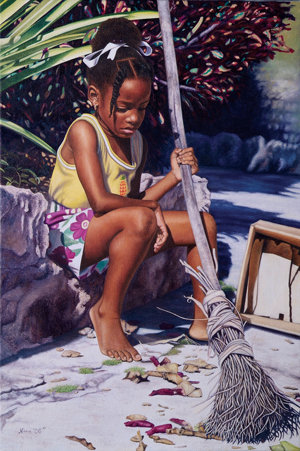 Painting in oils without any thinning medium she captures candid glimpses of individuals, people absorbed in their own thoughts, whether resting in a doorway, playing with a doll or sweeping up leaves. 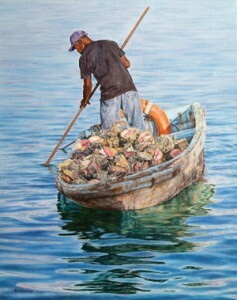 Roshanne too zooms in on the details of life and the people of the Bahamas, often with the translucent sea as a backdrop. Although her first love is pastels, she also paints in oils, using thin, delicate layers that allow her to capture reflections on the surface of the water. 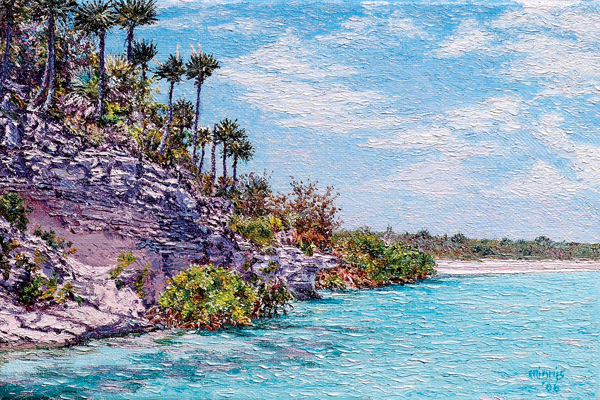 Roshanne’s husband Ritchie Eyma, meanwhile, uses thick oils to create deeply atmospheric, impressionist interpretations of beaches and buildings, boats and people – the subject matter, he says, is not what is important for him. 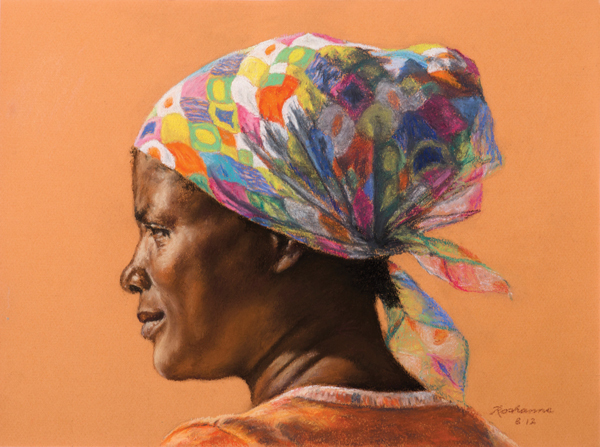 Ranging from oils to pastels and places to faces, the Minnis family’s body of work as a whole is as richly coloured as it is varied. 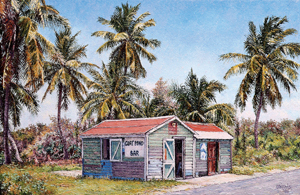 Sweeping across the islands from Abaco to Nassau and Exuma to Cat Island, each artist has found their own way to capture a mood, a landscape or a look. 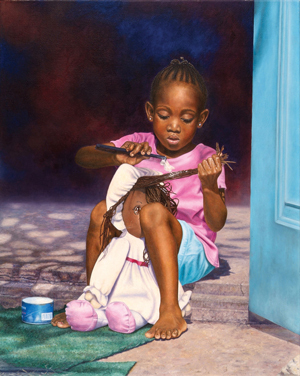 But if there is a common thread that ties their art together, it is their clear love and appreciation for the people and landscapes of their home, the islands of the Bahamas.